Quality, Passion and excellence in the delivery of training were among the key factors judges awarded Scope Training WA Finalists in the Telstra Business Awards. 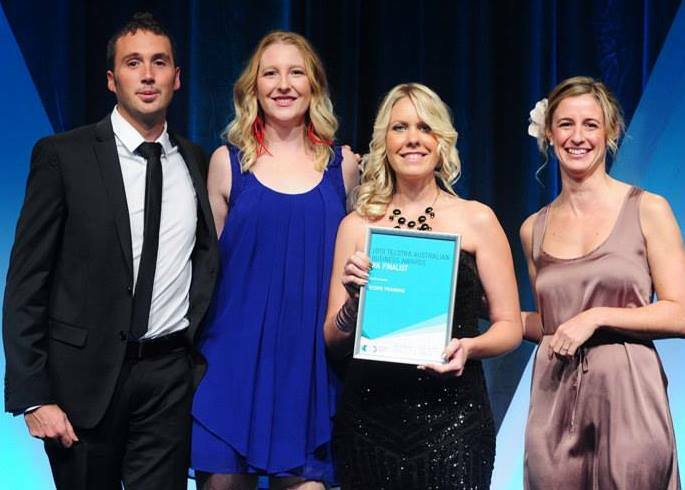 In 2013 Scope Training were declared finalists for the Telstra Business Awards in Western Australia. Nominated by one of their students, the team at Scope were at this stage unaware of the awards at all let alone the significance. After being contacted by Telstra, Scope prepared an application, which as Jess the CEO stated “the process of completing the application was in itself an invaluable exercise as it provided us an opportunity for to formally reflect and realise that we are doing an amazing job”. Scope Training was later contacted by Telstra as they were lucky enough to be shortlisted. A site interview took place at their West Perth Office and after a nervous few weeks Scope was once again contacted by Telstra and congratulated as being finalists.